LimeSpot's unique targeting engine automatically figures out how to target products, but you can tweak LimeSpot's engine to suit your store. manually pick your Upsell and Cross-sell Settings for your individual products. Click on Products > Product Tool option from the left menu. Here you will see a list of all of your store's products on the left panel. Click on a product and a panel with four tabs: Cross - & Upsell, Box Settings, Targeting and Information will pop up on the right side. Read on to find out more about each tab option. 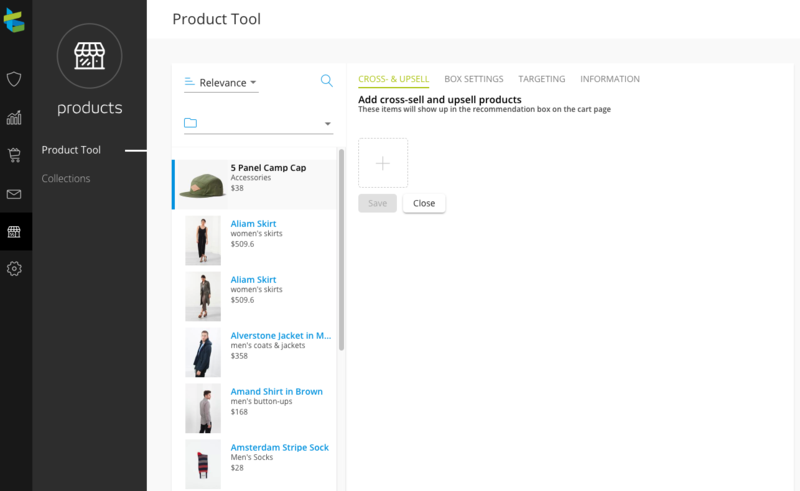 This section allows you to manually select specific Upsell/Cross-sell items for a single product. For instructions on how to apply the same Cross-sell/Upsell settings to a group of your products, click here. 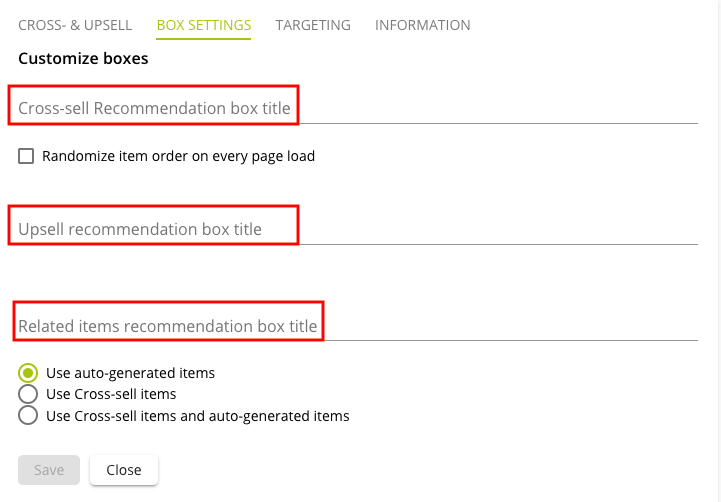 You can customize the box title of the Upsell and Cross-Sell recommendation box here, as well as configure the Related Items box settings. The product targeting settings allows you to adjust LimeSpot's engine to optimize certain products based on your shoppers' interest. 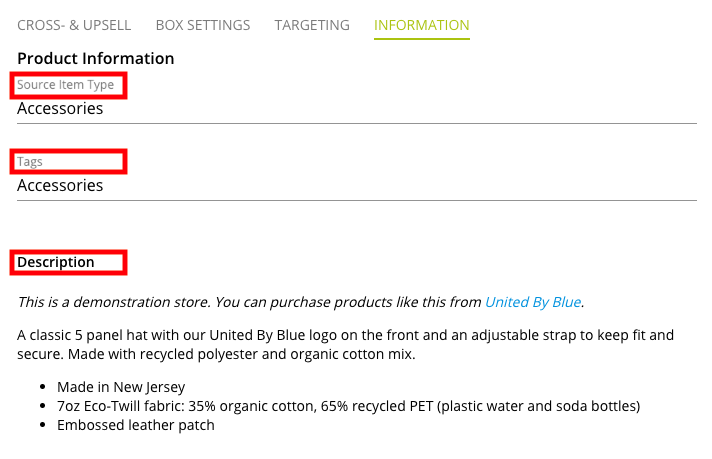 This section displays all the product information including Source Item Type, Tags, and Description. It can't be edited.